Kanye West declares that he did not have the confidence required to openly announce his support for the President of The United States, Donald Trump after being hospitalized back in 2016. 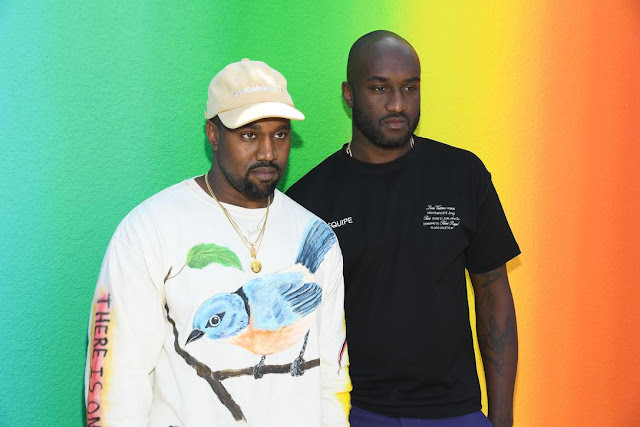 Despite the fact that the rapper was unable to vote in the Presidential Election in November of 2016, he publicly announced in his Saint Pablo tour a few weeks after that he would have voted for the current President only. The crowd disapproved of Kanye’s support for the former businessman by booing him. Soon after that, because of being under high pressure and due to the exhaustion from countless performances, the Stronger hitmaker had to cancel his tour. In a recent appearance on Jimmy Kimmel’s show, the artist confessed that following his hospitalization he faced issues regarding a fall in his self-esteem. Lack of confidence prevented him from showing support for Donald Trump, until earlier this year when the spell broke. Kanye further explained that whenever he voiced out his support for the President to the people around him, he was told that he would suffer ghastly consequences in not only his professional, but personal life as well. Fear of being cast out of the black community and due to low confidence, the rapper remained silent in his support for the U.S. Leader. After fully recovering from the trauma of his hospitalization a year and a half later, Kanye gathered the courage to declare in public that he fully supported Donald Trump by wearing a ‘Make America Great Again’ hat. Following the hitmaker’s stunt, a lot of controversies rose. He also added that his tweets regarding his support for Donald Trump were not to stir up politics, but were to help Kanye overcome his fear. The rapper went on to state that he was just being himself and was not afraid to face the consequences to come. Kim Kardashian, Kanye’s wife met with the U.S. President only a few days ago to ask him for a favor. She requested the leader to pardon the woman serving the first life sentence for a non-violent drug offence. The meeting was a success and as a result, Alice Marie Johnson’s sentence was reduced not long after. Kanye appeared to be at ease with his wife meeting with the President when questioned about it on Jimmy Kimmel’s show. His interview also brought about the end of his previous social media dispute with Kimmel.